So far The HR Company Administrator has created 134 blog entries. 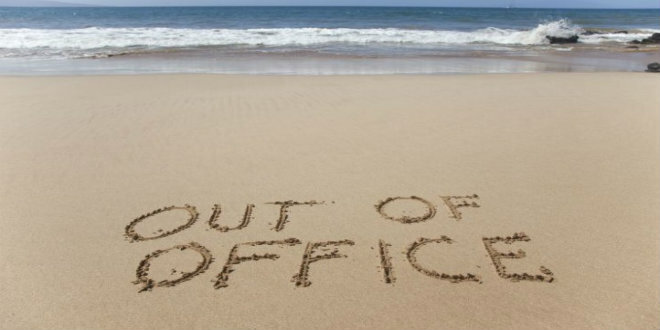 Annual leave is paid time off work that employees are granted by their employers - it can be used for whatever the employee wishes. It is important for employees to recharge the batteries and annual leave helps maintain a motivated and productive workforce. It is essential to note that the employer is statutorily obliged to provide a certain amount of annual leave to his or her employees. An employer can, of course, provide more leave than he or she is obliged to give – if an employer offers more leave to employees with long service histories or employees who exceed targets, for instance, this policy should be clearly defined and should be applied fairly across the board. Regardless of the employee’s status or length of their service everyone is entitled to annual leave. All time worked is eligible for paid holidays. a) The most common method used is: 4 working weeks in a leave year during which the employee works a minimum of 1,365 hours (Unless the employee has changed employment during that year). b) 1/3 of the employee’s working week per calendar month of at least 117 working hours (Eg: 1.67 * 12 = 20 days) c) 8% (.08) of the hours worked by the employee in the leave year (the total is not to exceed 4 working weeks) In some instances an employee’s leave could be worked out using more than one of the approaches listed above – where this is the case all applicable methods should be calculated and the employee shall be entitled to the highest result. Remember - the maximum statutory annual leave entitlement is four of his / her normal working weeks. (b) If the employee’s pay is not calculated by a fixed rate or salary but instead by commission, for instance (or based on productivity rates) the amount paid to this employee per week of annual leave should equal their average weekly pay calculated over the 13 weeks prior to their annual leave commencing. (If the employee did not work during that period, the average weekly pay is calculated over the 13 weeks prior to the employee’s last working day before the annual leave commences. This excludes overtime. 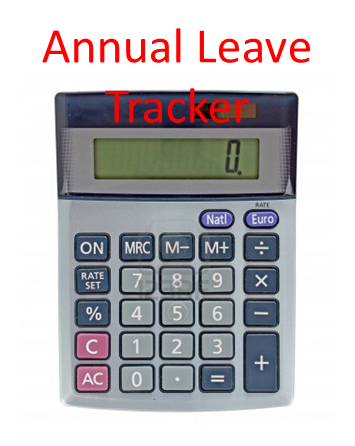 In order to accurately calculate the number of annual leave days an employee is entitled to it is necessary to incorporate all hours worked in the calculation including time spent on annual leave (yes, employees accrue annual leave while on annual leave! ), time spent on maternity leave, parental leave, force majeure leave or adoptive leave as well as time spent on the first 13 weeks of carer’s leave. Employees do not accrue annual leave while on sick leave, occupational injury, temporary lay-off, or career break. &nbsp; If an employee falls sick during his or her annual leave this day(s) is not counted as annual leave (once it is covered by a medical certificate) and the annual leave day is kept for them to use at a later date. It is common practice for an employee to request their desired leave dates and usually, once an agreed period of advance notice is given (allowing the employer to arrange suitable cover etc. ), the employer agrees. Annual leave is usually discussed in terms of weeks but, with employer consent, it can be broken down into shorter periods – often days or even half days at a time. It is the employer who approves holidays (it would not work from a business perspective if all employees were to arrange leave at the same time, for instance). The employer is, however, required to take the employee’s family responsibilities and need for rest and recreation into consideration. This annual leave must be given to employees within the leave year or, with the consent of the employee, within the first six months of the following year. The onus is on the employer to ensure that the employee takes their statutory leave allocation within the appropriate period. Employees may, with the consent of the employer, carry over holidays that exceed the statutory allowance to the next year. If the contract of employment is terminated and there is unused annual leave in respect of the employee the employer is obliged to compensate the employee for the accrued leave. It is illegal to pay an employee in lieu of the minimum statutory leave entitlement unless the employment relationship is terminated. 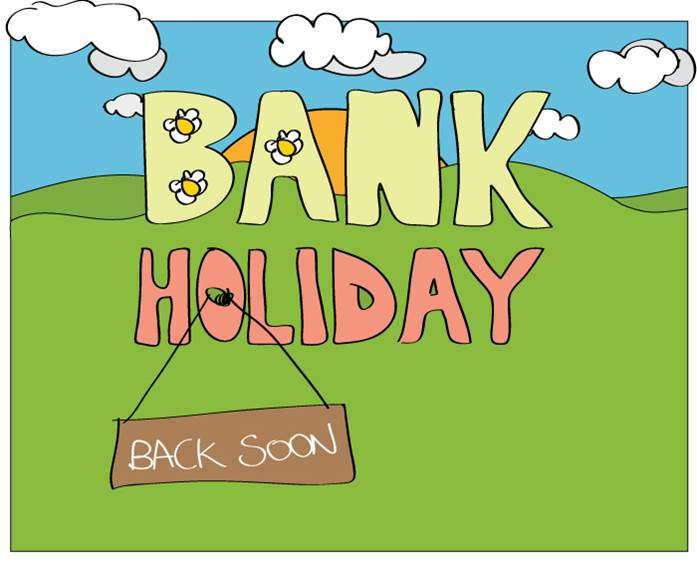 With the October Bank Holiday weekend fast approaching we thought you might find some information on Public Holidays and the relevant employer obligations/responsibilities around pay useful! There are nine Public Holidays in Ireland each year - they are: • New Year's Day (1 January) •St. Patrick's Day (17 March) •Easter Monday (Changes every year) •The first Monday in May, June & August •The last Monday in October •Christmas Day (25 December) •St. Stephen's Day (26 December) Here is a breakdown of the statutory outline of Public Holiday Entitlements under Irish Employment Legislation: Did you know that employees scheduled to work on a Public Holiday are entitled to an additional day's pay for the day? For instance, let's take “Employee A” as an example – “Employee A” works on the day the Public Holiday falls - let's say “Employee A” is a retail store employee and is required to work on St. Stephen's day as it is the first day of the store's seasonal sale - On a normal working day “Employee A” earns €100. This means that “Employee A” is entitled to receive the usual €100 for the hours worked on the Public Holiday as well as an additional €100 - So “Employee A” receives €200 for working on the Public Holiday. If there is any ambiguity in ascertaining what an additional day's pay should equal the employer should look at the last day worked prior to the Public Holiday. “Employee B” represents an employee who is normally scheduled to work on a day that a Public Holiday falls but is not required to work on that day (for example - an administrative assistant in a bank who typically works 09:00-17:00 Monday – Friday, who is not required to work on Easter Monday). “Employee B” should receive their normal day's pay for that day as well as not being required to work on the Public Holiday. On a normal working day “Employee B” receives €200. When a Public Holiday falls “Employee B” will not be required to work on this day as the business is closed. “Employee B” will still receive their normal day’s pay. The one that can cause the most confusion is the case of “Employee C” – Employees who are not normally scheduled to work on the Public Holiday will receive one-fifth of their normal weekly pay for the day. “Employee C”, for instance, works Wednesday – Friday and receives €100 per day in remuneration. If a Public Holiday falls on a Tuesday, even though “Employee C” never works that day he or she still has the right to benefit from the Public Holiday in some way. “Employee C” is still entitled to be paid a certain amount as a benefit for the Public Holiday (one-fifth of their normal weekly pay). If this employee earns €300 per three day week (Wednesday-Friday) they are entitled to earn an additional €60 during a week where a Public Holiday falls on a Monday or Tuesday. The above rules will apply for all Public Holidays. Set out below are the different stages of a pregnant employee risk assessment: Step 1: Identify the risks (bearing in mind that there may not be any. Step 2 - Determine what can be done to reduce/remove any of the risks identified in Step 1. This may mean modifying the working hours or conditions of the pregnant employee. This stage can also involve assigning the employee to an alternative role during pregnancy. It is important to remember that the employer is not allowed to alter the employee’s pay for the duration of this change in role. Step 3 – If the identified risks are great and no possibility of removal/reduction can be found (this may not be practical within the workplace etc. ), the employer may decide to suspend the employee from duties until the health and safety of the mother and unborn child/children is no longer threatened. This is known as Health & Safety Leave. Health and Safety Leave can also be applicable for breastfeeding mothers. During Health & Safety Leave (the period of suspension) the employee is entitled to full pay from the employer for the first three weeks. Exceptions can occur if the employee has unreasonably refused to do the alternative ‘risk-free’ work offered to them or if the employee does not meet any reasonable requirements. The Department of Social Protection pays Health and Safety Benefit after the first three weeks of Health and Safety Leave has passed. In order to qualify for Health and Safety Benefit, you must meet certain criteria and PRSI contribution conditions. Employees are still considered to be in employment so they continue to accumulate their annual leave entitlement. However, they are not entitled to payment for public holidays that occur while on Health and Safety Leave. It is essential that the employer regularly monitors and reviews any assessment made to take account of the possible risks that may occur at the different stages of pregnancy. Employers are legally obliged to provide workers with a written statement of the employment agreement between the two parties (the contract) within two months of the employee commencing employment. It outlines the requirements of the position and the conditions the person is meant to work against. It addresses the legal requirements against which all employees are protected today. The use of probationary periods is fundamental for all new employees. If the employer fails to give written details of the terms of employment, the employee can bring a complaint to a Rights Commissioner. The employee must make the complaint when in employment or within 6 months of leaving employment. (h) that the employee may, under section 23 of the National Minimum Wage Act, 2000, request from the employer a written statement of the employee’s average hourly rate of pay for any pay reference period as provided in that section. (n) reference to any collective agreements which directly affect the terms and conditions of the employee’s employment. In the case of the particulars noted at (g) (h) (i) (j) (k), (l) and (m) above, the employer, as an alternative to providing all the details in the statement, may use the statement to refer the employee to certain other documents containing the particulars, provided such documents are reasonably accessible to the employee in his/her employment. The statement of terms must indicate the reference period being used by the employer for the purposes of the calculation of the employee's entitlements under the Minimum Wage Act, 2000. (Under that Act the employer may calculate the employee's minimum wage entitlement over a reference period that is no less than one week and no greater than one month). The statement of terms must also inform the employee that he/she has the right to ask the employer for a written statement of his/her average hourly rate of pay for any reference period (except the current reference period) in the 12 months prior to the date of the employee’s request. Have you heard of NERA? The National Employment Rights Authority (NERA) delivers unprejudiced information on employment rights legislation to employers and employees in Ireland. NERA is charged with monitoring the employment rights of employees within the country. NERA inspectors perform various checks around the country and investigate suspected breaches of employment rights – it is important to bear in mind that a significant number of these inspection are unannounced. If NERA finds that an employer is not complying with employment rights legislation inspectors will seek reparation from the employer on behalf of the employee. In certain circumstances prosecutions against the employer may result. NERA has the power to chase awards made by the Labour Court, the Rights Commissioner or the Employment Appeals Tribunal. In order to pass a NERA inspection; employers must have provided their employees with clarity on the terms and conditions of their employment.